The numbers are in. People love cheese. The U.S. Specialty Food industry amassed over $99 billion in sales this past year and of that, specialty cheese boasts $4.4 billion of the revenue. 2018 saw 5.67 billion pounds of cheese produced, following a noticable increase in cheese production since in 2013. People. Love. Cheese. Consumers are flocking to small artisanal cheese shops helmed by local cheesemakers. Hardworking craftspeople (seriously, check out this video on the intense process) are bringing artisanal cheeses to the forefront of the gourmet food market. Though the process is strenuous, time-consuming, risky, and experimental, pure passion for crafting delicious, specialty cheeses can turn into a world of success. Murray’s Cheese was founded in 1940 by Murray Greenberg, a Jewish veteran of the Spanish Civil War who built his butter and eggs shop into the specialty cheese cornucopia that it is today. Rob Kaufelt, former owner and current strategic advisor, offered to buy Murray’s as a customer when he overheard the owner at the time, Louis Tudda, say he was going to close the store. Kaufelt is said to have followed his grandfather’s motto throughout his career in the food business. His grandfather, a grocer, would encourage each customer, “Go on, take a taste.” A piece of advice that Mercato’s CEO and former butcher, Bobby Brannigan employs as well. Millions of loyal, cheese-loving customers have gone on to “take a taste” (and then another, and another).  Murray’s cheeses can be found in over 600 restaurants and hotels, over 350 Kroger’s stores, and of course, at their two brick and mortar locations in Greenwich Village and Grand Central Market. Murray’s Cheese is active in the e-commerce world, a wildly popular and ever-growing sector of grocery shopping today. They offer catering, wholesale, gift baskets, and a wide variety of cheese bar selections on their website. Murray’s Cheese is also a Mercato merchant, which means online shoppers can easily find their award-winning products with just a simple search of their zip code. Joining online marketplaces, like Mercato, is a great way to reach more customers beyond brick and mortar. The sleek layout on Mercato’s site allows customers to shop for same-day delivery groceries from a variety of specialty merchants with ease. Some of Murray’s Cheese’s bestsellers include 2 Year Comte, Gruyere Alpage Moleson, Vacherin Mont D’or, White Truffle Moliterno, Truffle Gouda, and Lioni Truffle Burrata. With hundreds more to choose from, Murray’s Cheese is a cheese lover’s dream. Since their small beginnings, Saxelby Cheesemongers has opened another location in Chelsea Market as well as its doors in the e-commerce world. They ship their products to hundreds of locations around the country. This includes wholesale, individual goods, gifts and cheese collections, and monthly cheese club subscriptions. Inspired to join the e-commerce world like Murray’s Cheese, Ideal Cheese Shop, and Saxelby Cheesemongers? Check out how to build your own website here. Customers can meet the cheesemakers behind the hundreds of products offered on their site. Saxelby Cheesemongers has farmer partners in 12 different states, including Wisconsin, New York, Rhode Island, and Michigan. Those who want to shop locally at farmer’s markets can do so by supporting the efforts of Saxelby’s talented cheesemakers from across the country. For Saxelby Cheesemongers, “making good cheese is a labor of love.” Their bestsellers include Harbison (a creamy cow’s milk cheese), Spring Brook Tarentaise (an Alpine-styled cow’s milk), Cabot Clothbound Cheddar, and Goat Tomme. These delicious products can be found displayed on Mercato’s site as well. Trends: What’s New in Cheese? Plant-based cheese is a vegetarian/vegan alternative to dairy cheese. The most popular kinds are made of out soy milk, almond milk, and cashew milk. The plant-based cheese industry is expected to grow $3.9 million by 2024, a 7.6 percent increase from 2016. This spike follows the increasing demand to provide vegan options in stores and in restaurants. Some of the most popular vegan brands include Daiya, So Delicious, Follow Your Heart, and Chao. Miyoko’s Creamery makes some of the most renowned vegan specialty cheese today. Helmed by Miyoko Schinner, products include mozzarella (crafted from aged cashew milk), Herbes de Provence (a cashew based cheese coated in herbs and lavender), and Flesh Loire Valley (a cheese wrapped in wine-cured fig leaves). Consumers are also tending to shop more organic foods. In 2015, U.S. total sales for natural specialty cheese reached $17.4 billion USD and has since followed a steady, consistent increase. More and more, consumers want to know where their food comes from. Cheesemakers who produce organic cheeses must oblige by certain regulations, typically enforced by the USDA. This includes refraining from the use of synthetic hormones and antibiotics. 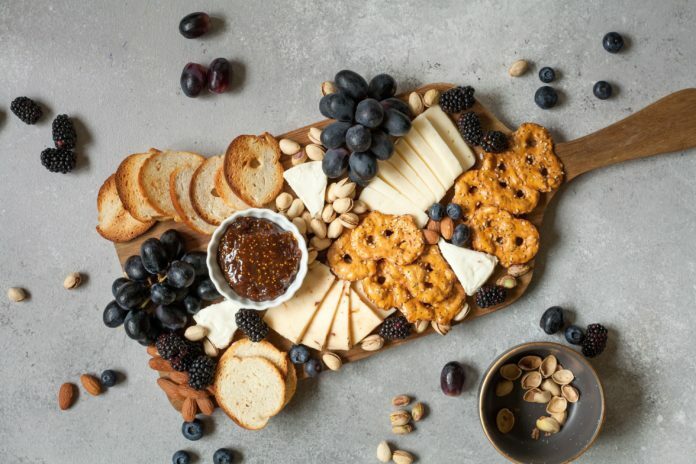 A popular trend within the artisanal cheese business is the sale of packaged, aesthetically pleasing cheese boards. Merchants are tuning into the popularity and influence of Instagram (and social media platforms in general) to rope in a predominantly Millennial customer base. Beautifully crafted cheese boards greatly benefit the seller. Sellers can move more product and increase the chances of their cheese being promoted on social media sites. Inspired to join the world of cheesemaking? Check out how to get started in the artisanal foods business with this helpful resource directory. You can learn more about niche areas within the specialty food industry with these blogs on specialty seafood shops and specialty butchers. The specialty foods industry is a booming grocery sector. Like these successful cheese grocers, turn your passion into quality goods people love.